A modern retelling of the Disney classic, SYD 7s tackle a brand new show in 2019. SYD 7s have cast the show and are now hard at work following their first big workshop. Based on the DreamWorks film of the same name, join Alex, Gloria, Melman and Marty as they escape from the Zoo and find themselves on an unexpected journey to King Julien’s island paradise of Madagascar. Over the last decade we've come a long way and seen hundreds of young people through our doors. 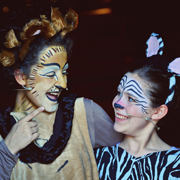 Take a look at the photos of our shows through the years! Website by The Furry Baker. 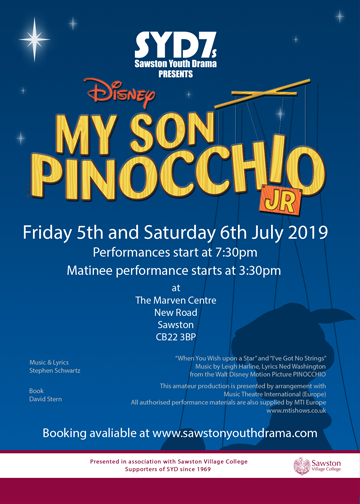 All content contained on this site is property of Sawston Youth Drama Ltd. unless otherwise specified. 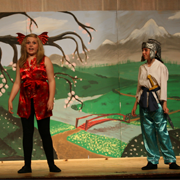 Sawston Youth Drama Ltd. is a registered company no. 09049091, and registered charity no. 1159351.